Happy Thursday my lovely readers. Again, I am sorry that there wasn't a post on Monday I have been very poorly but I'm on the mend now. Today I wanted to talk to you about mistakes. We all have them and we often regard them as these embarrassing choices or periods of our lives that we cringe to think about. Which is completely understandable I often think of them in the same way but I also think of mistakes as gifts. Our mistakes are ultimately lessons be they painful or not they almost always leave us with a lesson learnt in the aftermath. It may sound cliched or corny but I believe that it's during our mistakes that we learn most about life and about ourselves. I can say with 100% confidence that I wouldn't be the person I am without making a some of the mistakes I have made. Our mistakes are what help us grow if everything came to us easily and if we made no mistakes we would have no opportunity to learn. Being able to make mistakes also implies freedom, to quote Mance Rayder from Game of Thrones, "the freedom to make my own mistakes was all I ever wanted". I agree with this wholeheartedly, I cannot imagine not having the freedom to make my own choices. A freedom which so many people in the world have been/are being denied. This is the main reason as to why I think mistakes are a gift as mistakes mean choice and I would rather make mistakes but have my freedom to make my own choices, it's a freedom that I am grateful for every day. So if you are ever feeling embarrassed about a mistake you have made remember that if you have learnt from it then you have got something worthwhile from it no matter how painful it may have been. I'm sorry this post was a bit short and sweet but it's a thought that I've had on my mind for a while now and I wanted to share it on my blog. I hope you enjoyed this post. 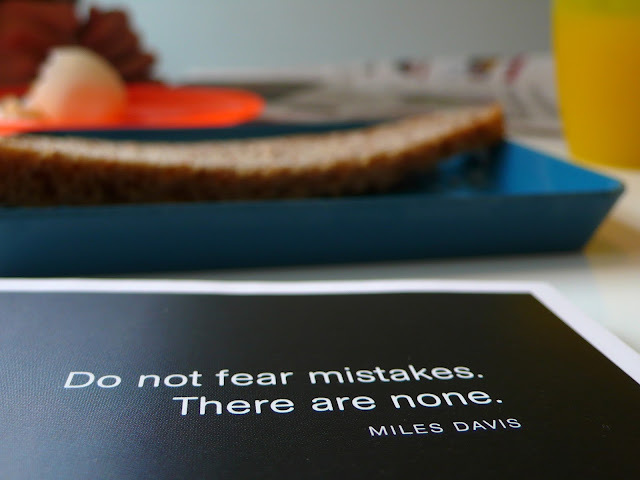 What are your thoughts on mistakes? Do you see them as gifts like me?